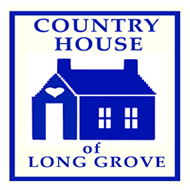 Country House takes pride in being a part of Long Grove IL we are an upbeat shop and welcome you to come in and browse our kitchen accessories and soaps. Some of our best selling items include Chicago sports items, word pillows and a wide variety of hats for men and women also we would like to point out our seasonal room that holds hoards of Easter, Halloween & Christmas items. Our inventory is constantly updated so every visit is unique. Enter as strangers-Leave as friends.